Are you looking for a luxurious way to get where you need to go while having plenty of room for passengers and cargo alike? 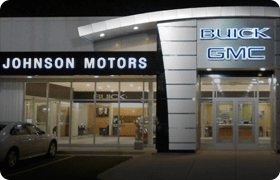 If so, then you need to stop by Johnson Motors and experience the breathtaking 2018 Buick Enclave. This SUV gives you more features, more value, and more luxury than the competition while remaining surprisingly affordable when compared to the other guys. Shop online, stop by or give us a call to set up your test drive today. 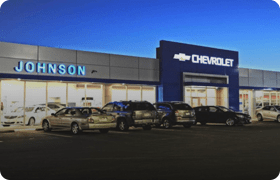 Johnson Motors, giving you more value and more selection near home. 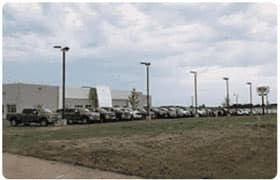 A great base is an excellent place to start, but it is really the standard and available features that make the difference when it comes to choosing your new luxury SUV. The 2018 Buick Enclave gives you plenty of reasons to smile with features like signature LED headlamps with Evonik lighting technology, available OnStar 4G LTE Wi-Fi Hotspot, and First-Ever Avenir Trim. 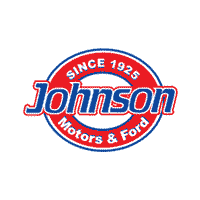 Come find yours at Johnson Motors, and get more vehicle for less of your hard-earned money. The 2018 Buick Enclave gives you room for up to seven of your closest friends and family without breaking the bank. This spacious luxury SUV gives you an EPA estimated 26 mpg highway and an MSRP starting price of around $39,996 to go with it. Add in the 26 mpg highway fuel economy, and you have a great vehicle for an outstanding price. 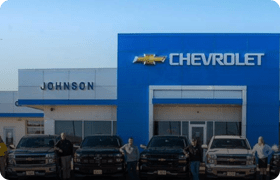 Come get yours at Johnson Motors the next time you are in town. It just might be the best decision you make this Holiday Season.